Allied is evolving the definition of print, introducing customers to new thinking that can help them take marketing campaigns beyond ink for greater effectiveness, accountability and relevance. Print, printers, and the craft of printing have accumulated a long list of myths and misconceptions. While Allied can’t set every single one of them straight, we can address these head on, because we have solutions for every one. Knowing the answers can help progressive marketers innovate in the face of conventional thinking, by bringing new solutions to the market that build brands, create relationships and raise ROI. POPcolor is the science of going beyond conventional printing to express the full artistic intent of the image creator. Our process synchronizes the press, profiles and spectral values to offer creative and production teams a level of control that traditional processes can’t match, with options most can’t imagine. In practice, POPcolor means we match our system to your files, not vice versa. You send RGB outputs without CMYK conversion (in fact, we prefer it this way.) Then we partner with you to deliver output with stunning realism that closes the distance between art and real life. Are bulky, fragile or expensive product samples more burden than benefit to your distributors, dealers or retailers? Allied Reality Prints use state-of-the art scanning and lithography technology, innovative textured coatings and flexible print systems to transform simple papers into vibrant presentation samples. They have the look, feel and flair of the original, with lower weight, greater durability and reduced production costs. Delivering color-critical accuracy for the most demanding customers. In other words, Allied has a new and better reality for your brand – one that much easier to manage, ship, store and share. Standing out in the crowd means standing up for your brand. Literally. Delivering the substance of your message can start with a package that turns a mailbox into a showroom. Using dimension, color, texture and action a brand can come to life through the simple expedient of opening an envelope. 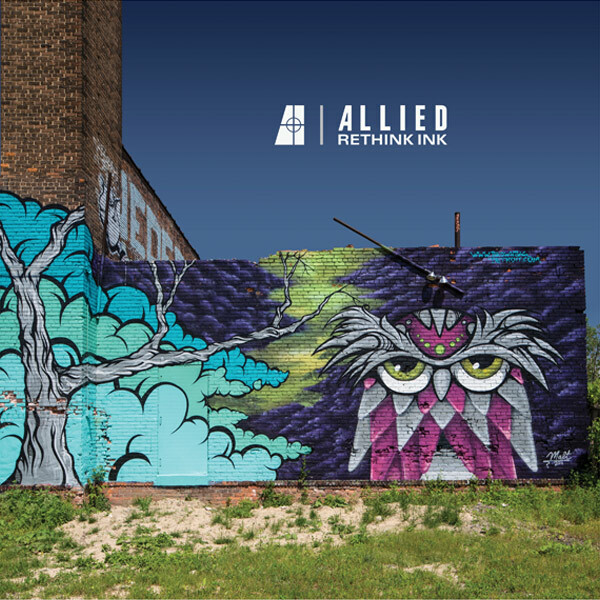 Allied is making the traditional image of printers as obsolete as the six-cent stamp. We have invested significant resources in highly advanced targeting, coding and sorting data mail systems. Combined with the ISO 14000-compliance and Fort Knox levels of security, Allied is a full-service data supplier with unmatched in-house capabilities for start to finish campaign stewardship. Supporting this technology is a state-of-the-art on-demand printing system for seamless transitions between offset and digital print which gives brand-quality reproduction with highly personalized variable messaging. Just as important, our 2D bar coding technology offers extremely precise measurement of campaign results for solid ROI reporting. In the past, executing direct mail campaigns required a chain of suppliers, and long timelines to deal with the inevitable hiccups. The lightning speed of today’s market demands Allied one-stop capability to handle your campaigns in the fastest, most precise way possible. Our substantial facilities footprint and warehousing capabilities can fulfill everything from simple product flyers to fragile designer crystal stemware, all with minimal oversight. Because our data systems can easily converse with yours, the orders can be assigned automatically for packing, addressing and shipping without leaving the building. This saves your time, as well as giving you real-time progress updates for a clear picture of campaign progress and success. You’ve heard of the team concept. Allied Five Deep is the first to use it to serve you and your business. 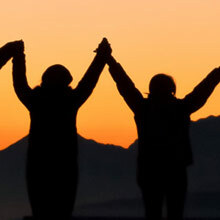 We place every Allied representative in the lead as your main point of contact. (With over hundreds of years combined experience, it’s a formidable front line.) Then we back them with four leaders from our management team, who represent all Allied functions necessary to see your project through to successful completion. So, it’s not just your rep that’s accountable to you. Our leadership is accountable to you. Digital campaign technology is giving progressive marketers an almost unlimited menu of options for to rethinking campaigns. Allied can deliver higher levels of sophistication without driving greater complexity, thanks to our experience with the many moving parts of printing, warehousing, fulfillment and tracking. With Concierge Service, an Allied representative owns every detail of your project. They network behind the scenes, anticipating and intercepting issues before they arise. Allied Perfect Launch can help you manage your timeline, by ensuring every element is ready, every delivery mechanism is prepared to deliver the substance of your launch in the right sequence for maximum impact. In fact, we’ve even moved critical equipment and operations into client facilities to streamline packaging, fulfillment and mailing to perfection. Allied believes that it’s time for mass mail to be replaced by class mail that can bulls-eye a target customer from thousands of miles away. Our data architects can adapt or engineer programs translating multiple data streams into pinpoint lists that help to reduce excess circulation, for savings on printing, fulfillment and postage. We also drive ROI through our advanced personalization capability and 2D bar coding and inserting technology. This allows your materials can move seamlessly between offset and digital to include as much variable customer and product data as you desire, creating a true “campaign-of-one” capability. This technology also gives you a campaign measurement tool that can gauge response down to specific households and the individuals within them. While we enjoy spending time with customers, we’re just as enthusiastic about efficiency. Our customer-managed campaign tools can save the time of contacting us for many orders. They can let managers share production and distribution responsibility for key marketing materials while retaining creative message control. For example, Popology works from a simple rules-based system where you supply all the templates, graphics and other campaign elements; then you or your team select, compose and order from the approved materials. 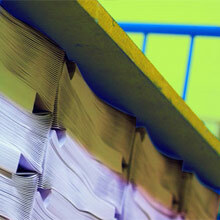 Then Allied prints on demand and fulfills the order and provides you with an easy-to-understand report. eWise is a real-time inventory measurement tool that gives you a snapshot of what materials are in stock, what’s moving, and even “low-water” alerts for items that may be depleted soon, all from an easily accessible 24/7 web portal. All humans have one thing in common: we are hard-wired from birth to want to touch, feel, hear and taste before we accept objects or ideas. That’s why it’s vital to consider the tangible, tactile benefits of well-crafted direct mail as an integral part of an overall customer engagement strategy. Well-crafted, intelligently targeted print can supercharge digital communication with extra selling power. Its permanence creates a tangible, measurable campaign channel, especially when used with web-to-print platforms such as Popology™. Paired with measurement tools such as 2-D bar code technology, a well-planned and integrated campaign can deliver a clearer picture of your campaign’s ROI.